Students at Rooty Hill High choosing health food options. Picture: Geoff Jones. The team at WSLHD Health Promotion know all too well the benefits of health literacy for improving the health of our community. “We aim to build healthy public policy, create supportive environments, strengthen community actions, develop personal skills and reorient Health Services to build a healthier community,” Christine Newman, WSLHD Health Promotion Director said. “Health Literacy boosts the confidence, knowledge and skills of individuals enabling them to take action and improve their health. The ‘STAR Canteen’ program is one example of Health Literacy in action. It offers schools and canteen managers an array of support including engaging student projects to increase their understanding of the health impacts of food in their canteen. Resources for teachers and a competition for students act to integrate lessons learnt into everyday practice. 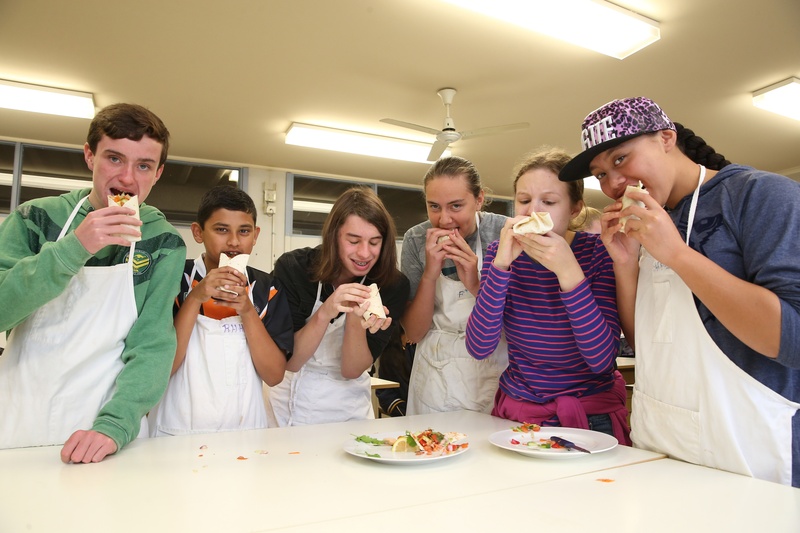 Students develop a healthy canteen recipe idea for the canteen menu and the best recipes are voted on and sold in the canteen. The ‘Project Sweet Defeat’ pilot is increasing the understanding of Mt Druitt youth about the health impacts of sugar sweetened drinks, through hands-on activities. Young people use media that they are comfortable with, such as posters, videos and social media, to create their own messages and raise awareness in the wider community. Click here to watch a recap. For information about Health Literacy, contact Dani Muscat via danielle.muscat@sydney.edu.au at the WSLHD Health Literacy Hub.